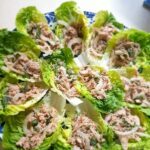 This Thai tuna salad is naturally low in carbs and can be served as an appetizer or party offering! 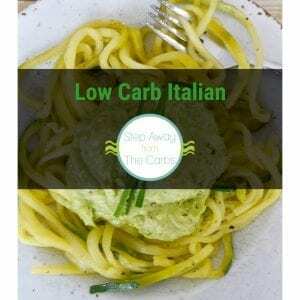 Today’s delicious low carb dish is brought to you from my cousin, Fiona! She knows a vast amount about different cuisines and cooking styles, and I am delighted that she shared this recipe with us! You can see all her amazing culinary creations on her Instagram feed! Thanks, cuz! This recipe is one that my family have been making – and tweaking – for about 25 years. I know now that it’s what Thai chefs call a larb – a salad made with minced meat or fish, seasoning, citrus and toasted powdered rice. 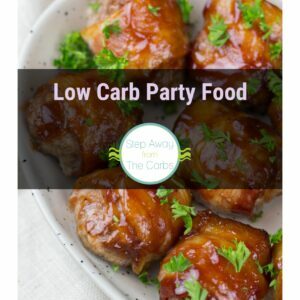 Feel free to omit the rice powder if you want to make it even lower carb, but it’s a tiny amount that makes an amazing difference to the taste and texture of the finished dish. It’s been the most popular dish on the annual open house buffet table at mine for the past two years – I think because it’s so light, fresh and different from your average ‘beige’ buffet fare. To prepare the powdered rice, dry roast the rice in a small, heavy frying pan over a hot flame until it begins to brown. Cool slightly, then grind in a coffee grinder or similar (I use a Nutribullet). 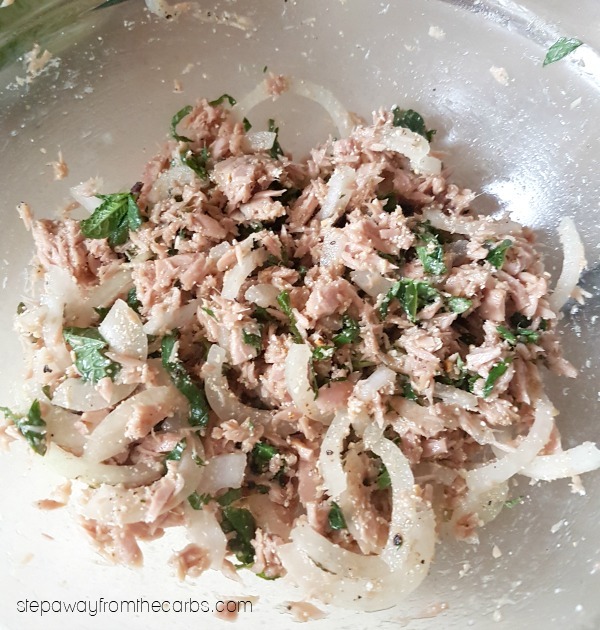 In a bowl, mix together some drained canned tuna, the powdered rice, shallots, fish sauce, lime juice, cayenne, black pepper and chopped mint. Taste for seasoning. 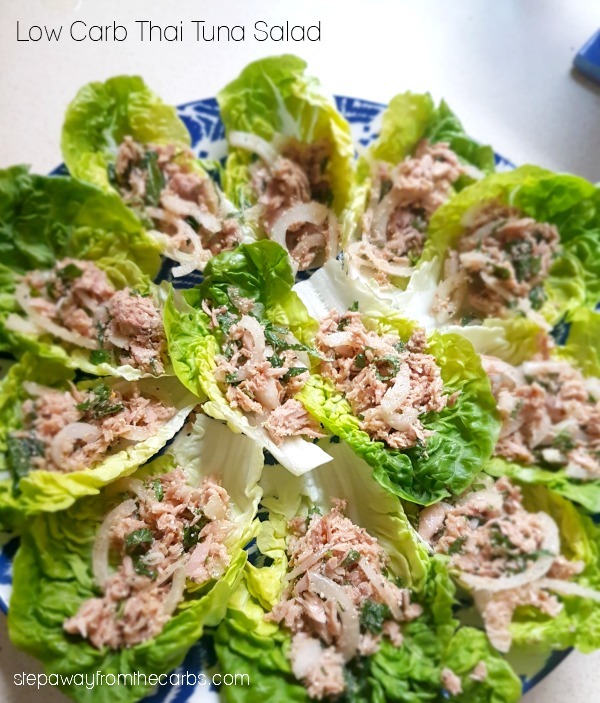 Spoon the Thai tuna salad onto the lettuce leaves and serve. Dry roast the rice in a small, heavy frying pan over a hot flame until it begins to brown. Cool slightly, then grind in a coffee grinder or similar. In a bowl, mix together the drained tuna, rice, shallots, fish sauce, lime juice, cayenne, pepper and chopped mint. Taste for seasoning. 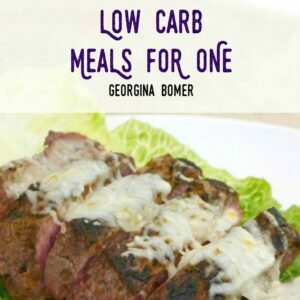 Omit rice for KETO version! Absolutely! Although, as explained in the text and the nutritional data, the amounts are so small that it may be OK for some people.